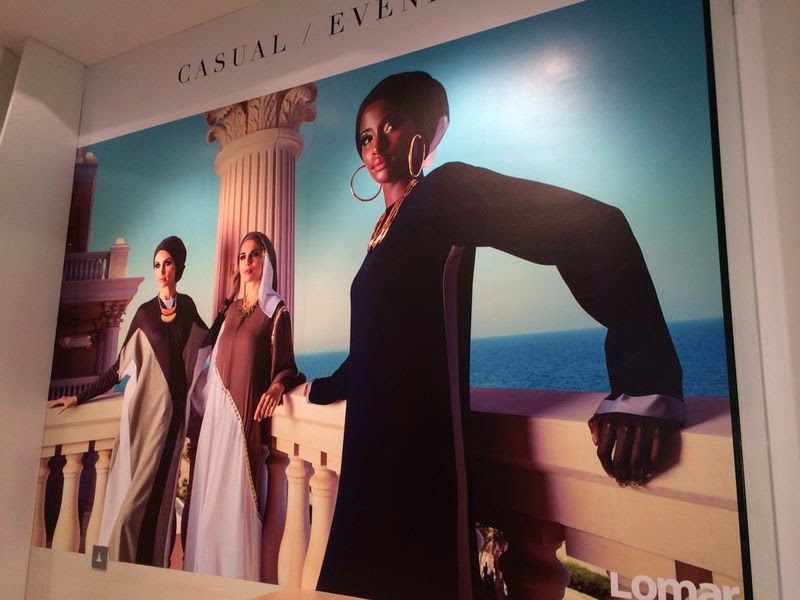 I had the pleasure of being invited to the reveal of Lomar’s newly opened women’s Zero Collection ready-to-wear abaya range at their flagship store on Rawdah street ( near Joelle clinic). I was impressed by the the vast collection which included a variety of different styles available from formal business wear, everyday-wear, sporty, travel and and a special occasion collection. The collection has a contemporary feel, allowing it to fit in perfectly with the fast-paced modern lifestyle while still remaining true to its original roots. I spoke to the Art Director Mona Al Haddad asking her to describe the collection and she captured it accurately as ‘elegant, decent and fashionable’. 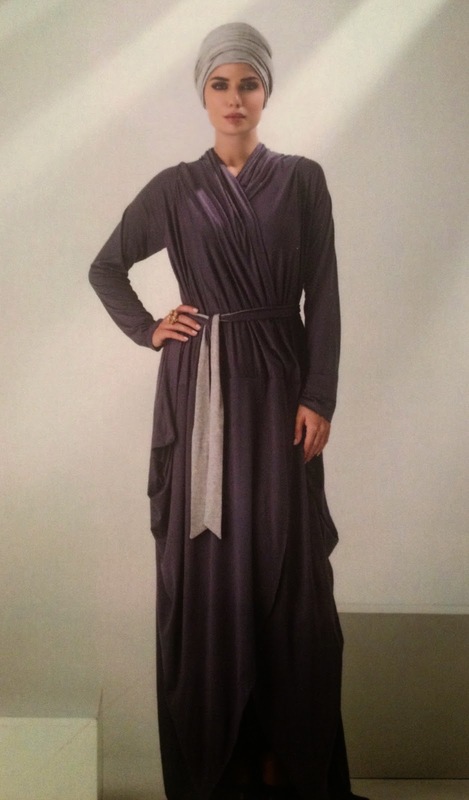 She also informed that they bring in new pieces every week, with more travel abayas and turbans coming soon. 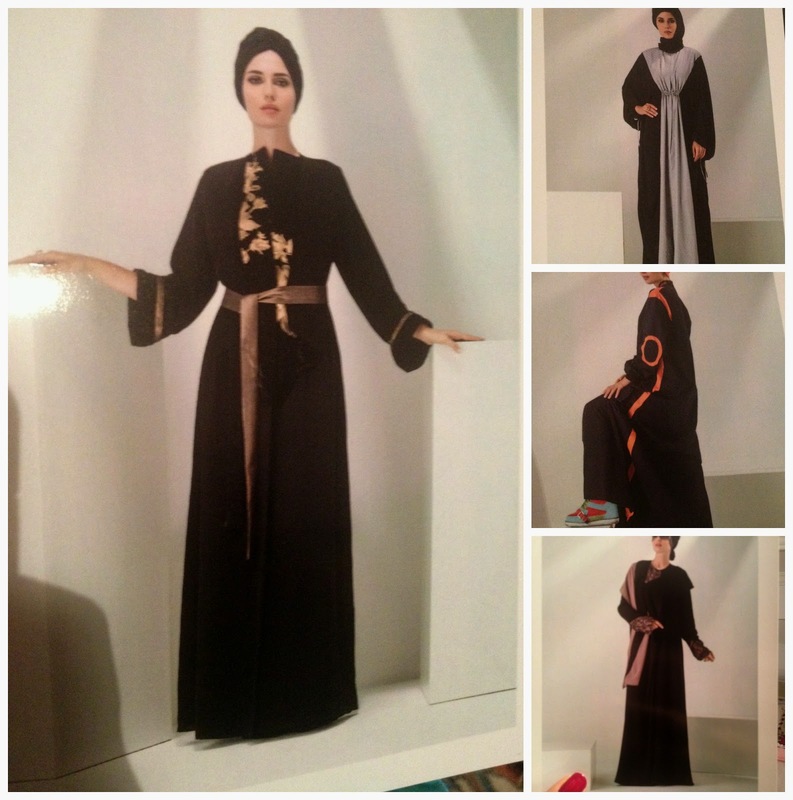 The abayas have been designed to allow versatility in use according to the occasion or personality of wearer. For example, an abaya maybe worn without the belt during the day, and then accessorized with a belt during the evening. A visit to the store is a must where their helpful staff show how different styles can be born. All their materials are light-weight and high quality, with a flowing feel adding to the feminine silhouette. “Creating fashion is like casting spells, one has to veer away from the paved road, concentrate, gather the ingredients and prepare a new enchanting spell once again. ” Abubakr Alkaf – Lomar Marketing Manager. 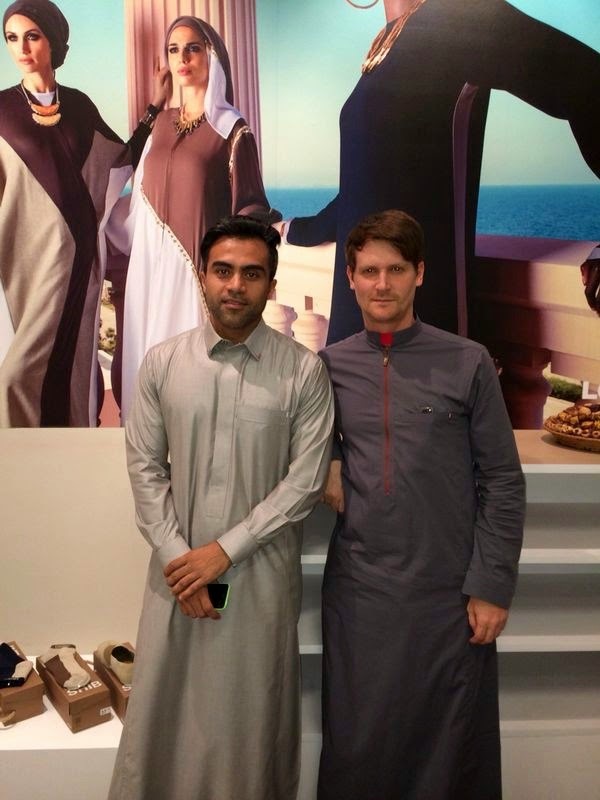 Lomar’s Associate Art Director and Head Designer Christophe Beaufays has 7 years of experience working with famous French designer Jean Paul Glautier which he has incorporated into the style of abayas at Lomar. 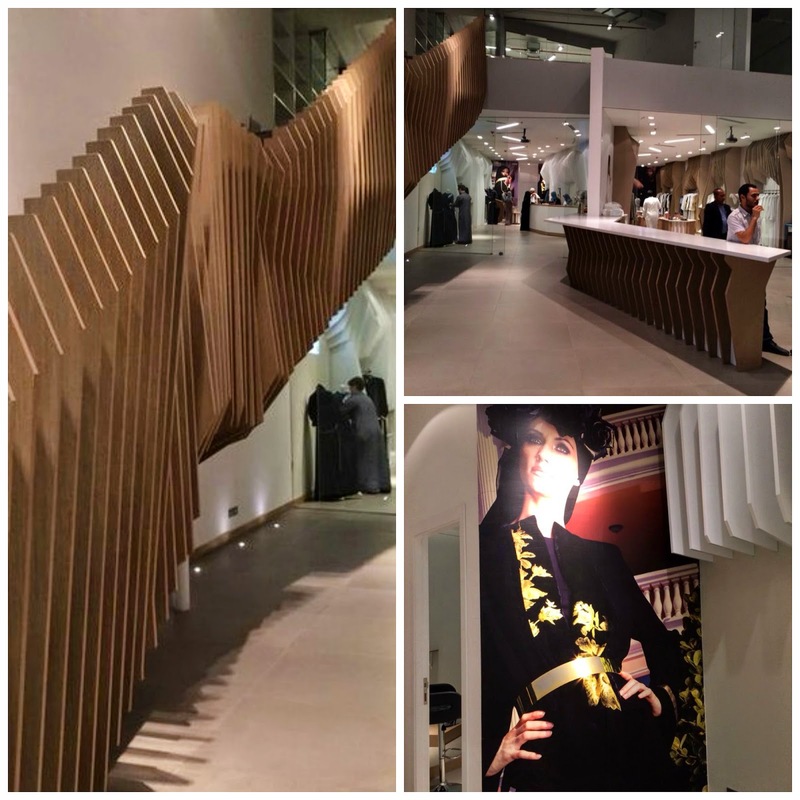 He said that when designing the abaya they ensured that they were modest and fulfilled the functional element of an abaya while adding a bit of edginess or flair to each design to set it apart from others. The would fulfill the needs of the Arabian woman and at tsame time appeal to famous fashion sense of French women. 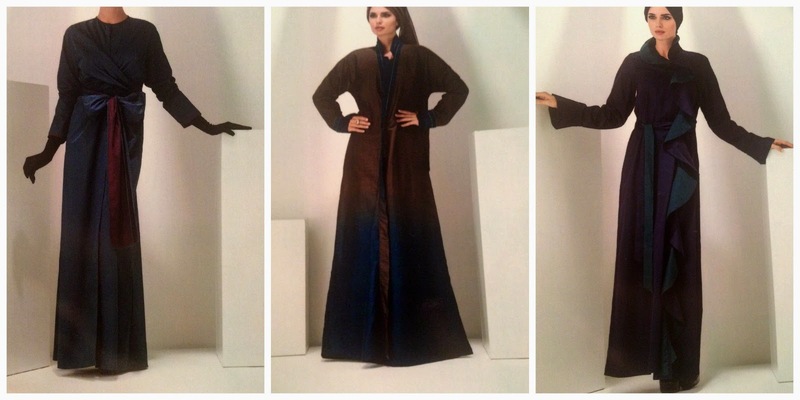 The attention to detail in the cut and design of abayas truly blew me away. Even the more simple designs on closer inspection reveal interesting twists. For example this business wear abaya has an elegantly simple colour block design, but when you take a closer look the abaya is not secured in the traditional way using buttons/zips, instead a first slide your hand through what looks a sleeveless dress, while theres is only a strip of fabric at the back,,,you have to see it to understand its hard to explain…check out the pics below. I should have made a video! From left to right: formal/business abaya with a deceiving simple look, opens up to reveal what looks a sleeveless dress, actually secured by a strip of fabric at the back. Lomar also provided bloggers with a promotional voucher which I used to get a jilbab style abaya (it does not come with a tarha/scarf and is technically a dress). It was love at first sight for me, and I absolutely adore it, the lightweight soft fabric, the stylish way it drapes down the sides. It can be adjusted using hidden internal straps to suit your physique, which was was great for me. 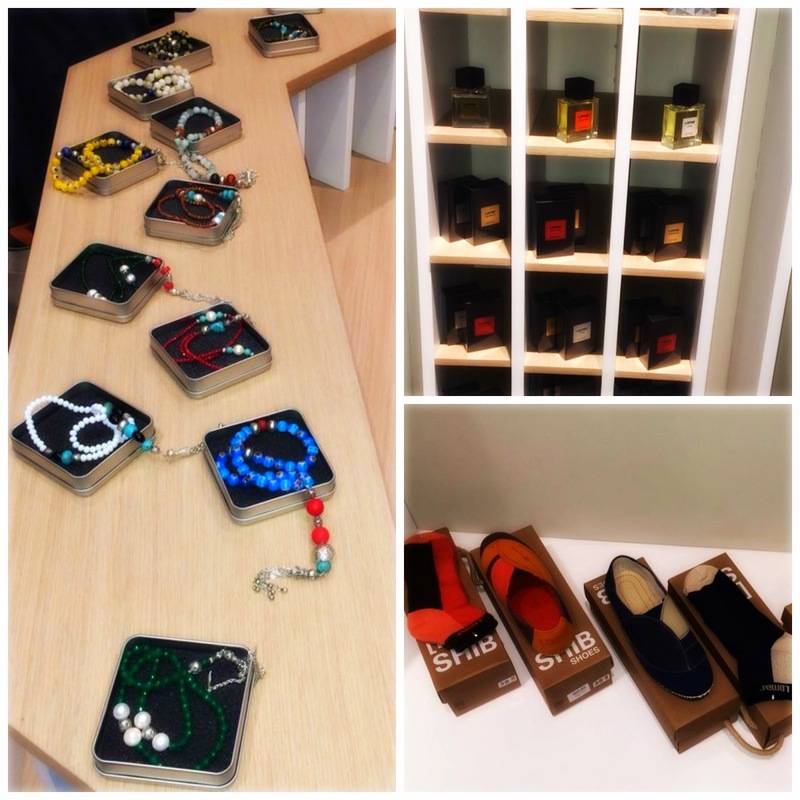 You can also find a range of quintessential Arabian inspired accessories such as beautifully crafted musbahs ‘prayer beads’, Lomar signature fragrance range (in my opinion the Premium one is the best), and SHIB shoes which look like the traditional Saudi sandals but are actually shoes? and tri-colour matching socks!. I am excited to have this new Abaya brand in Jeddah and look forward to buying their turbans which will be coming soon!